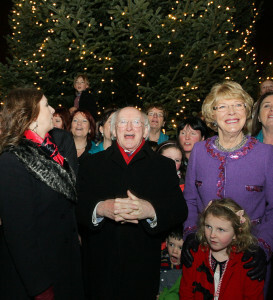 The Moon & Sixpence Puppet Theatre was delighted to provide the entertainment for children invited to Áras an Uachtaráin at Christmas. 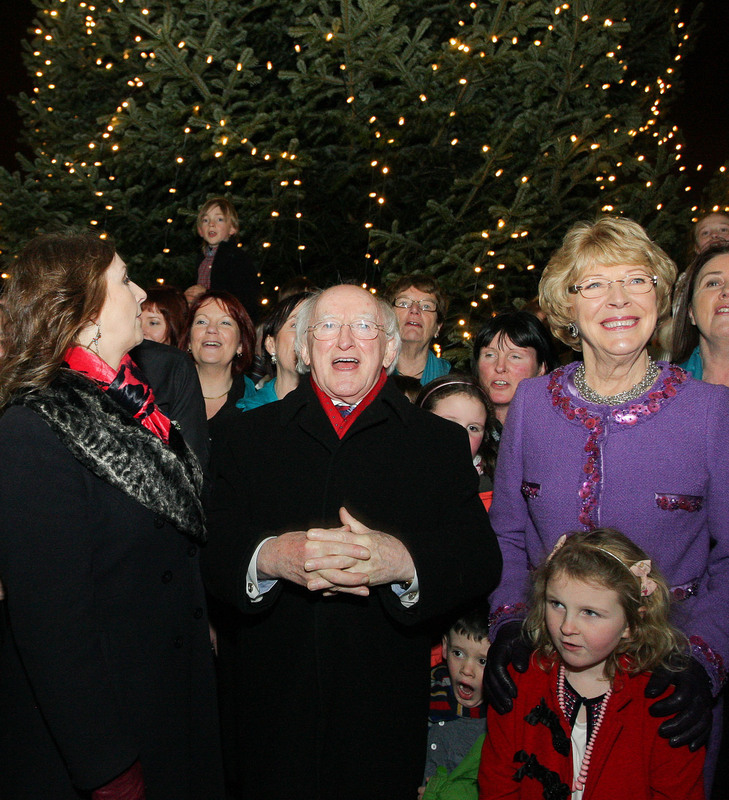 Some 200 children from across the country joined President Higgins and his wife Sabina for the official lighting of the Christmas tree in the garden of Áras an Uachtaráin on 8th & 15th December. The lucky visitors will also got to meet the other important man, Santa Claus, before enjoying a Moon & Sixpence version of Little Red Riding Hood in the Hyde Room at the Áras. The events proved to be a very special day for the invited families and the Moon & Sixpence Puppet Theatre was delighted to be part of the celebration.